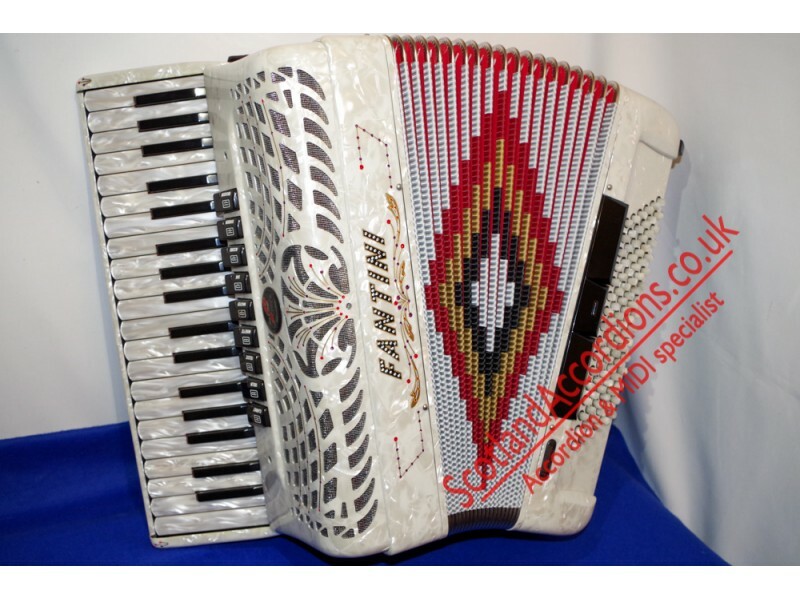 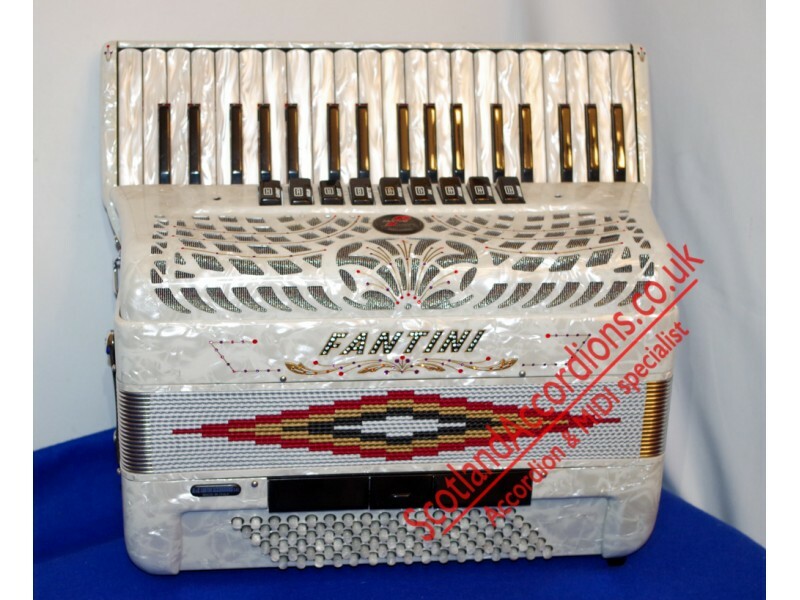 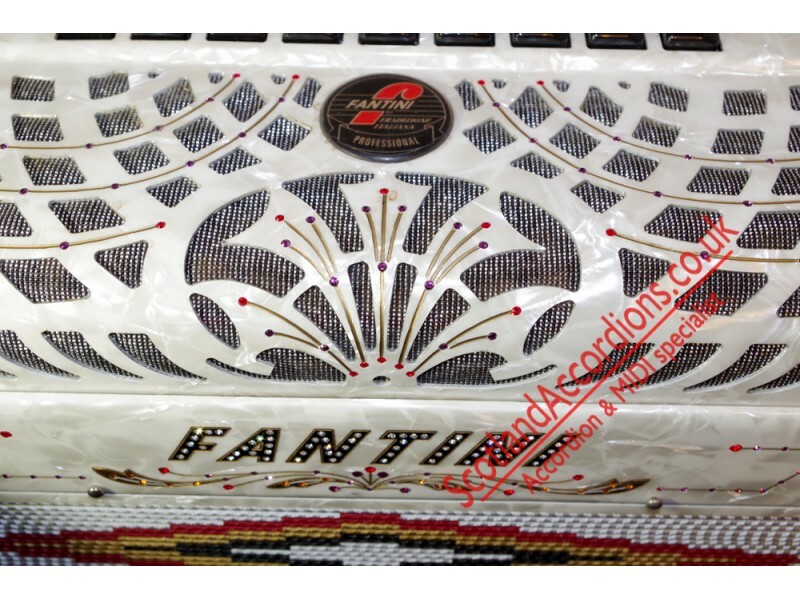 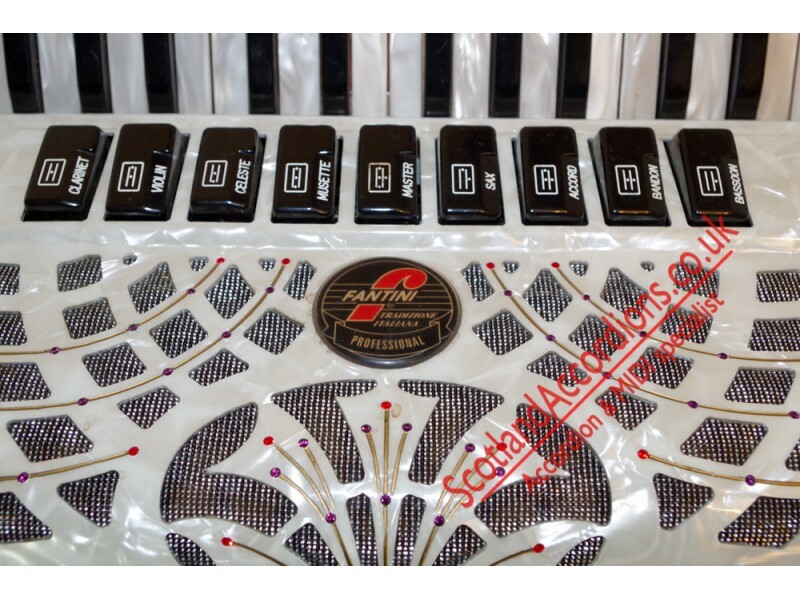 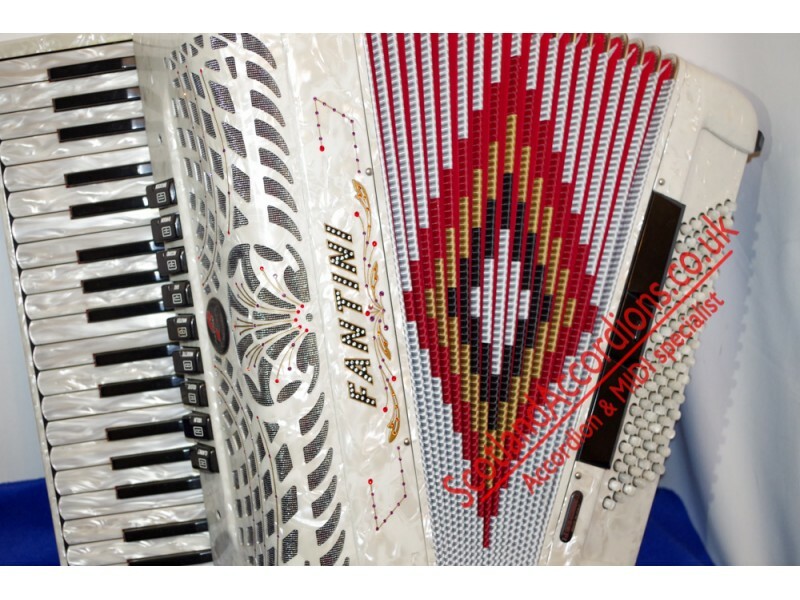 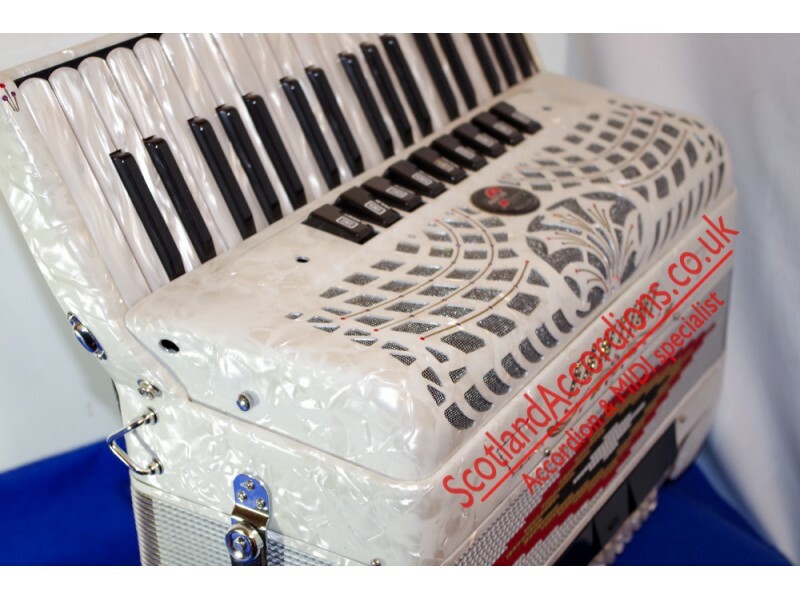 37 note 96 bass Fantini accordion finished in white with decoration. 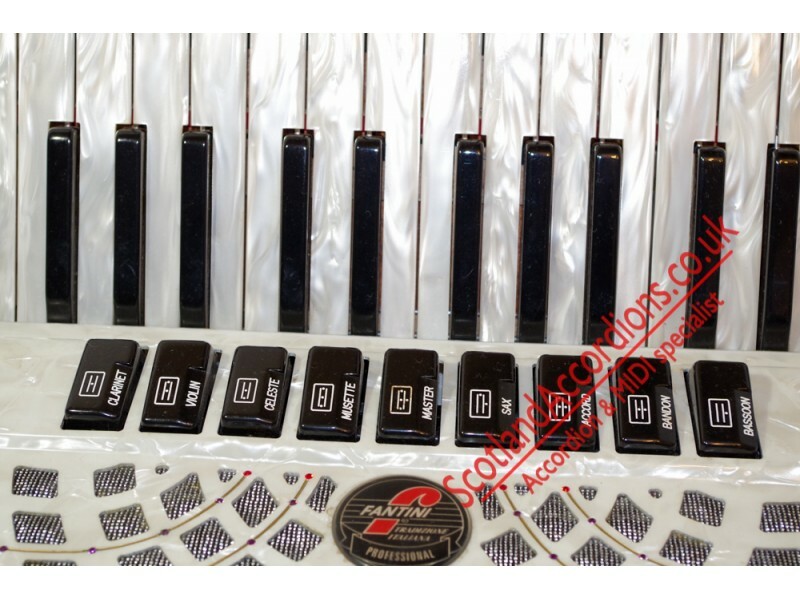 4 voice and full musette with 9 treble couplers and 3 bass souplers. 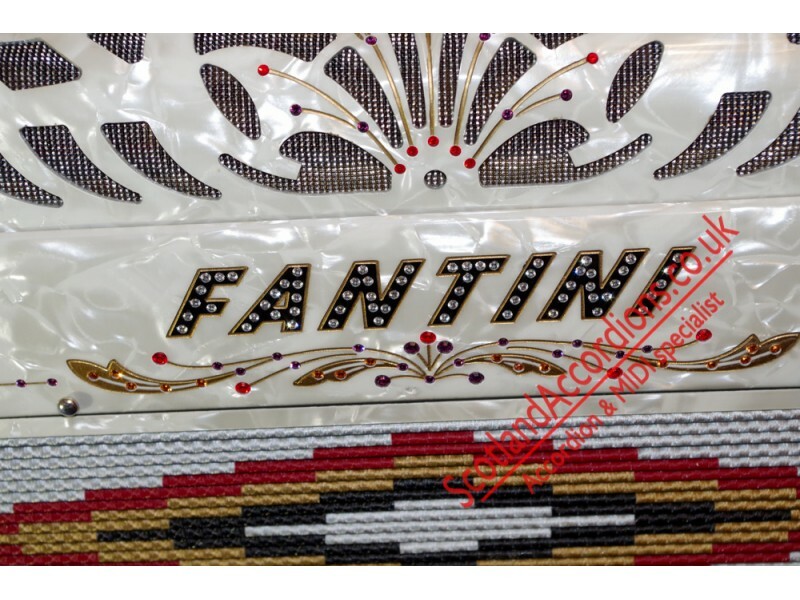 Classic Fantini grille and excellent tone from Italian Company Fantini.